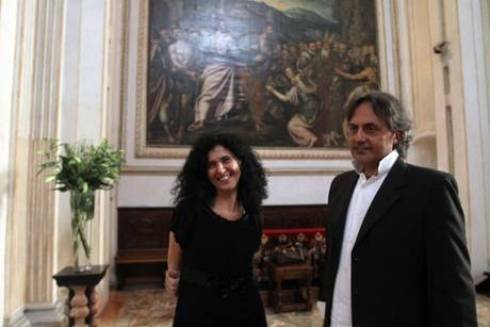 The controversial study “Young Caravaggio – One Hundred Rediscovered Works” published by art historians Maurizio Bernardelli Curuz and Adriana Conconi Fedrigolli is dividing the scientific community. The claims of the research, that attributes to young Merisi 83 drawings from the Peterzano Collection for a total value of €700 million, are being challenged by the statements from the collection’s curator Francesca Rossi, who told AP that the experts have never stepped foot in the Sforzesco Castle where the drawings are kept, and only worked on photographs. 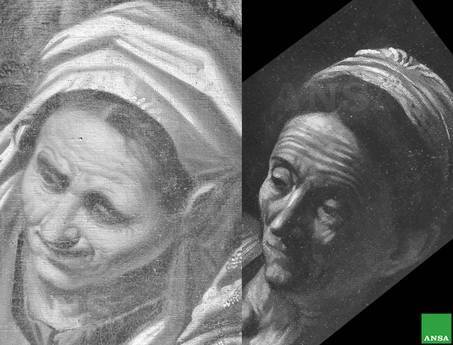 The Italian news agency ANSA published an exclusive story on the research carried out by two Italian art historians, Maurizio Bernardelli Curuz and Adriana Conconi Fedrigolli, which announced the discovery of a hundred early works by Michelangelo Merisi da Caravaggio among the 1378 sketches from the Peterzano Collection. Kept at the Sforzesco Castle in Milan, the Peterzano Collection comprises works by painter Simone Peterzano, in the workshop of whom Caravaggio was an apprentice from 1584 to 1588. None of the paintings in the collection were previously attributed to Caravaggio, but Bernardelli Curuz and Conconi Fedrigolli claim that at least 83 of the drawings in the collection present features that are traceable in the mature works and in the known masterpieces by the star painter, famous for his use of the chiaro-scuro technique and for the innovative insertion of peasants and derelicts in religious scenes. Since Merisi died in his thirties, his ascertained work only amounts to circa 90 specimens, which makes the claims by Italian art historians even more sensational: whether authentic, the drawings in the Peterzano Collection owned by the Municipality of Milan might be worth over €700 million. 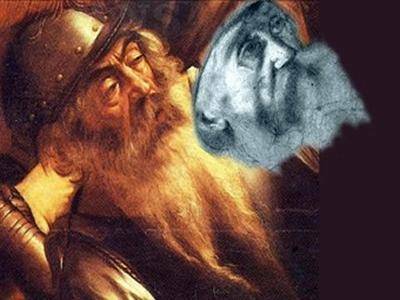 “Our goal was the one of solving the mystery that has been surrounding the early years of activity of Merisi, a mystery that lasted over a century, since the last research on the subject conducted by Roberto Longhi in 1913,” Bernardell Curuz told the Italian press. To do so the two historians said they scrutinized the collection in earnest, although today the curator of the drawings collection at the Sforzesco Castle Francesca Rossi questioned the seriousness of their research methods. “What surprised us about this thing is the fact that these experts never came here in the drawings department to see the works,” Rossi told AP. “We were in contact with them a year ago when they asked for photographic reproductions but I've never seen them here. These are generic drawings. 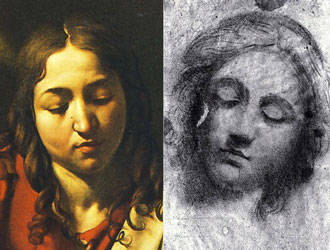 The attribution to Caravaggio seems overly ambitious and not very credible," The Telegraph reports. As the statements by Rossi were diffused, AP interviewed Conconi Fedrigolli and Bernardelli Curuz on their firsthand experience of the drawings. As the Telegraph reports, Conconi Fedrigolli scrambled over the request to identify the team members who had seen the drawings, then passed the phone to Bernardelli Curuz who declared he did, thanks to a high-level city official who remained unidentified and would allow him in the collection afterhours. The academic world seems to have contrasting opinions on the study, titled “Young Caravaggio – One hundred rediscovered works” and available for purchase in Ebook format on the authors’ website. A major obstacle to pinning works on Michelangelo Merisi is the artist’s habit of leaving them unsigned, which in the history of the studies on Caravaggio’s artistic production has left room for false authenticity claims and attribution mistakes. Director of the Vatican Museums Antonio Paolucci knows that very well: two Summers ago, the Vatican newspaper L’Osservatore Romano published an article suggesting that a painting depicting St. Lawrence could be a Caravaggio. Paolucci published a counter-article one week later, debunking that idea. On a more neutral note, art history Professor Cristina Terzaghi from Roma Tre University invited to use prudence on the research, which “must be carefully studied and verified by the scientific community,” The Telegraph reports.